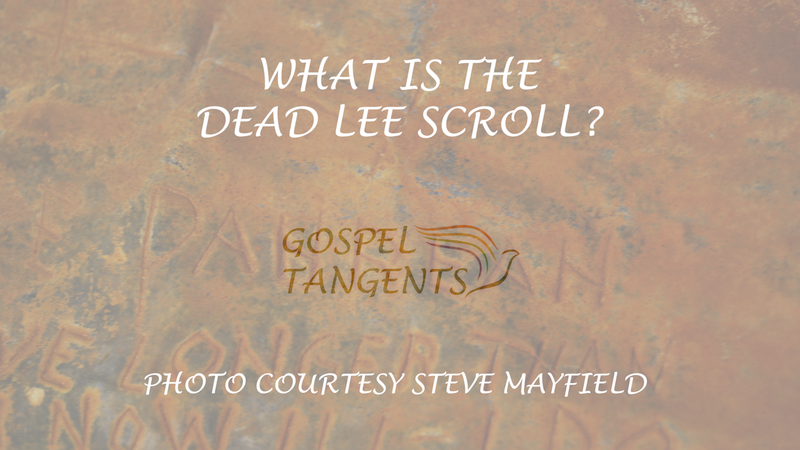 A lead scroll was found at Lee’s Ferry in Arizona, now known as the Dead Lee Scroll. What is it exactly? Steve: Well, one of the documents or artifacts that came up in 2002 was a lead plate they found down in Lee’s Ferry and it’s been given the nickname of Dead Lee Scroll. Will Bagley gave it that name. It’s a piece of lead. [It’s] very thin. So, it’s not the hardest thing. So, he is in there cleaning. And all of the sudden he come across this thing rolled up. He opens it comes up and starts reading John D. Lee. Whoa! That has something to do with it. So, he cleans it off and they look at and they come up, hey, is this a confession? Is just some document that points out to it. Well, of course, boom, everybody loves it. Well, March of 2002, the archeologist for the Park Service, she’d taken it to Phoenix and showed it to Bill Flynn who worked with George Throckmorton on the Hofmann documents. Bill Flynn’s not LDS. Then she brings up to Salt Lake to George Throckmorton who was my boss at the time in Salt Lake Police crime lab. And so, he examined it, taking pictures of it and everything. Was it a long-lost admission of guilt from the only person convicted of participating in the Mountain Meadows Massacre, John D. Lee? Steve Mayfield will tell us more about it and attempts to authenticate it. (It features forensic expert George Throckmorton, who we interviewed previously!) If you want to see photos of the scroll and Lee’s Ferry, Go to Youtube.com/GospelTangents to see the video. Steve was kind enough to share some of his photos with me. Does the Dead Lee Scroll implicate Brigham Young in the Mountain Meadows Massacre?